It was maybe 3 years ago when I first met Tom, although it seems longer than that, having been on many trips around the UK and abroad. 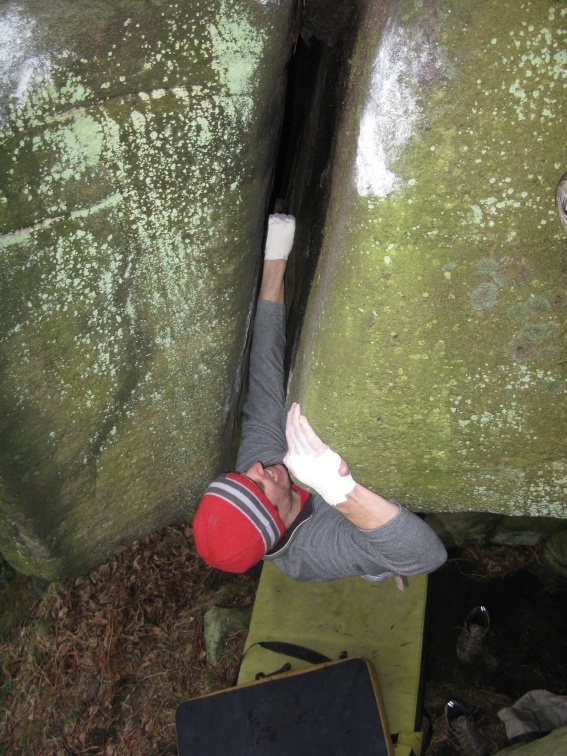 Or maybe it just seems longer because of the amount of crack climbs I’ve had to suffer from being his partner. I think the only crack that I had climbed before I met Tom was The Vice, which was tough and the very first time I tried it I couldn’t actually pull off the floor (no joke). So, in reality I wonder why did the climbing partnership stick? Well, really I’m not sure…but what I do know is that he is probably the best climbing partner I’ve ever had (maybe ever will have?). Being well known for his crack climbing prowess and obsessed by this style it was only a matter of time until it would probably rub off on me. Really it was actually inevitable, because climbing with someone who has now climbed London Wall 32 times and had a replica of Greenspit in their living room instead of a television, maybe it was impossible not to. However it was one type of crack genre that Tom was particularly engrossed and excelled in, and that was the 5+ inch variety, or more specifically…the offwidth. I quickly got enticed. I knew very little at the start, but puntered along trying to make it look like I knew what I was doing, (accumulating lots of scar tissue in the process,) whilst Tom looked comfy and restful in double fist stacks and hanging by his feet. Over time he taught me the way - showing me that hand jams, stacked hands, knee locks and chicken wings were all better than the Dalmatian suitcase-handle holds that go up the Five Ten wall at The Foundry. Or perhaps it’s the list of offwidths that he crushed with relative ease, Ray’s Roof, Cedar Eater and Gloves of War. Personally I think it’s his ability to eat chocolate bars in an invert position half way up Thai Boxing, the hardest offwidth in Europe. 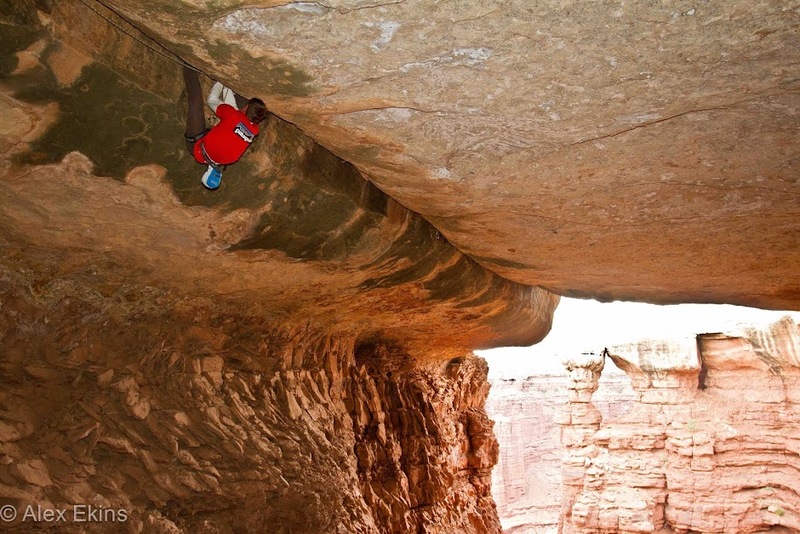 So where has this offwidth obsession lead him? To The U S of A in September. BOOM.